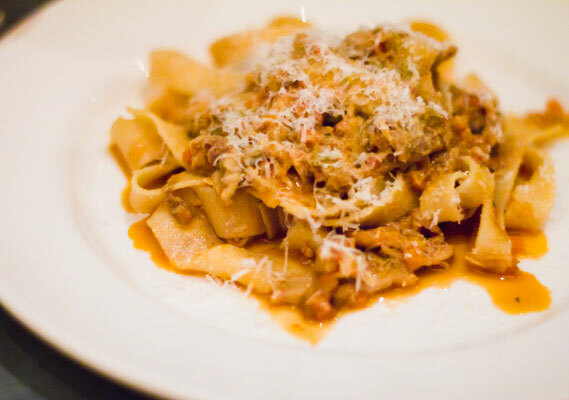 At Bar Bambino in the mission, notable sous chef Ben Robert has perfected several varieties of handmade gluten free pasta made from a combination of potato, brown rice, tapioca, quinoa and corn flour. Gluten free menu choices are not simply an addendum to their fantastic Italian menu, instead they are integrated with forethought. 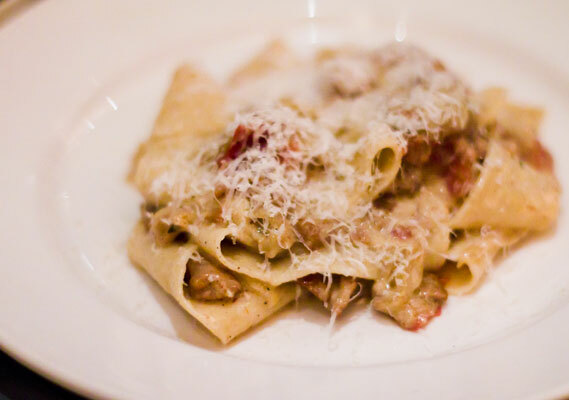 Entrees like gluten free pappardelle with foraged mushrooms and crispy prosciutto or tagliatelle with braised guinea fowl are dishes that make eating gluten free not feel like a restriction at all. 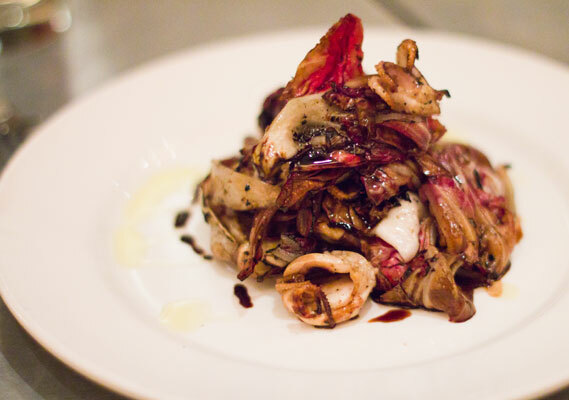 As if fresh homemade pasta isn’t enough of a celebration for the gluten free diner, Bar Bambino also offers a number of other menu items suitable for celiacs; Grilled octopus and radicchio salad, or an entree of farm fresh poached eggs with local spring greens and artichoke hearts are hardly what most would call a compromise. Waiters are knowledgeable about sources of gluten, making your dining experience at Bar Bambino less about the typical gf questions, and more about the outstanding food.